Scientists sometimes tell us we're in a post-philosophy world. For example, Stephen Hawking and Leonard Mlodinow in The Grand Design bluntly say that that philosophy is 'dead' - no longer required, as science can do its job far better. However, other scientists recognise the benefits of philosophy, particularly when it is applied to their own discipline. One such is Eric Scerri, probably the world's greatest expert on the periodic table, who in this challenging book sets out to modify the philosophical models of scientific progress. I ought to say straight away that A Tale of Seven Scientists sits somewhere on the cusp between popular science and a heavy duty academic title. For reasons that will become clear, I could only give it three stars if rating it as popular science, but it deserves more if we don't worry too much about it being widely accessible. One minor problem with accessibility is that I've never read a book that took so long to get started. First there's a foreword. Then there's another foreword. Then there's a background preamble. Then there's an introduction. And then, finally, we get to the content. But once you've run this gauntlet, we discover the seven obscure scientists referred to in the title, each of whom arguably made a contribution to our understanding of atomic structure and its implications for chemical behaviour, but all of whom are pretty much forgotten. Specifically, we are talking about John Nicholson, Anton Van de Broek (no, not that bloke off Strictly Come Dancing), Richard Abegg, Charles Bury, John D. Main Smith, Edmund Stoner and Charles Janet, only one of whom I'd heard of, and that was for his main body of work, not this. Although A Tale is only a slim book, we find out a lot about the theories each of these developed. Almost all of these theories could be described as 'wrong' - and yet each contributed with incremental changes to thinking on the subject, influencing the big names such as Bohr (whose own theories were also arguably 'wrong' for much of the time). That's a book in its own right (if a very specialist one with limited appeal), but far more interesting is Scerri's motive for introducing these characters - not to suggest that we ought to add them to the familiar names, but rather to illustrate that our model of the nature of scientific discovery and theory building is wrong. Of course, one of the differences between science and philosophy is that in science it is less common to have several theories in constant contention - there's more of a tendency to settle for a 'best supported current theory'. And so we don't have a single widely accepted theory of scientific discovery - but Scerri is pushing here for a new one, or at least one that is less supported - specifically that scientific discovery is like biological evolution - a gradual development based on lots of small changes, where it isn't meaningful to identify a single owner of a theory. In a sense, like biological evolution, there's an element of this that is so obvious it's a surprise anyone argues about it. Clearly no scientist works in isolation but is constantly influenced by what he or she learns of the work of others. Newton famously made his 'shoulders of giants' remark, and though it was probably intended as an insult to Robert Hooke, Newton nonetheless at least once had to admit that Hooke introduced a concept to him (the nature of orbits). However, since Thomas Kuhn's work on the philosophy of science about 50 years ago, there has been the idea of sudden revolutionary changes in science - so-called paradigm shifts - which Scerri suggests don't exist. Part of the problem Scerri identifies is our tendency to label a theory 'right' or 'wrong' where this is rarely possible to do. This sounds like woffly philosophising of the 'What is truth?' variety - but it's not, because theories are very rarely about finding the truth. They are more about developing the best model to fit observation. All theories are probably 'wrong' in a sense - because they are just models. But some fit beautifully and so we hang onto them until something better comes along. 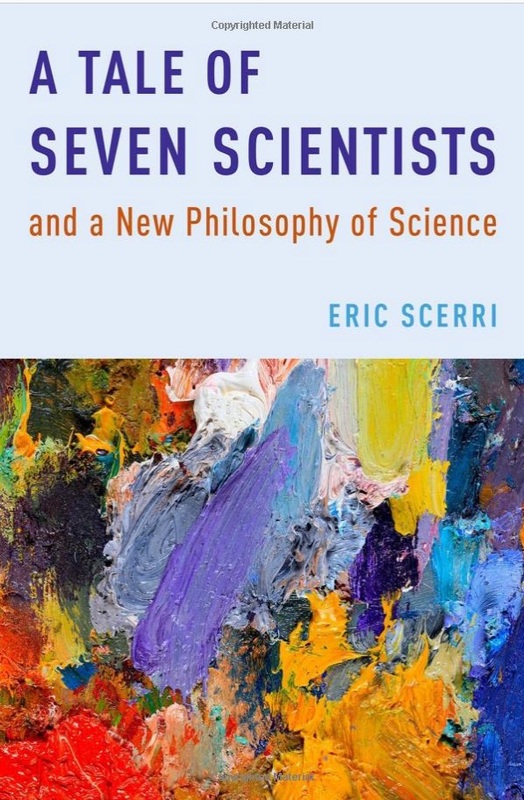 I understand why Scerri includes his seven scientists, but there is far too much detail on their work, which for me gets in the way of the far more important thinking on the nature of scientific discoveries. While I'm not sure Scerri is right in entirely dismissing revolutions - it's hard not to see, for example, the shift to the general theory of relativity as anything other than revolutionary - he surely has an important point in the evolutionary model, which could have been more interestingly developed at greater depth in the book. And that would also have given a chance to explore his plea to dismiss scientific heroes further. There's no doubt that popular science in particular, in simplifying the picture, tends to pick out a handful of individuals as the greats of science. But I'm not sure this is a bad thing. Just as the Apollo missions couldn't have happened without a vast number of individuals we know nothing about - but it's still worth celebrating what the astronauts did. This doesn't mean we should ignore the others. Their stories can be interesting in their own right, as Margot Lee Shetterley shows in Hidden Figures - but we still need the scientific equivalent of the astronauts in figures like Bohr or Einstein or Newton to keep a narrative interesting. We just need to bear in mind that superstars, whether in movies or in science, aren't the whole story. In A Tale of Seven Scientists, Eric Scerri has a genuinely interesting story to tell, but he also demonstrates why, on the whole, we focus on certain figures in popular history of science, because the work of his seven scientists is sufficiently incremental that only an expert could love them. I hope he considers writing another book for a general audience that concentrates on the evolutionary nature of scientific discovery more - and develops it further, as here the same assertions are repeated rather frequently. As it is, the current book is something of chimera, but rewards the effort of reading it with some real topics for thought, if you are interested in what science does and what it is.